Psiphon Android is a perfect solution. If you are on this page, you already know that you need a VPN proxy server that will keep the browsing on your Android Smartphone, secure and hidden. Psiphon is a simple yet powerful VPN proxy server that uses certain algorithms and programs that bypasses various content filtering systems used by governments to enforce censorship. After connecting to your remote serve through Psiphon, an encrypted tunnel is created between them. If anyone tries to intercept you while you’re browsing, they won’t know what sites you are actually visiting. Also, the websites do not know from where you are accessing them, turning you into a ghost user. 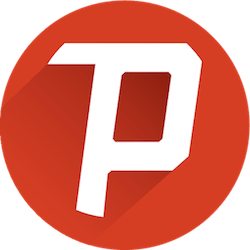 How to download Psiphon for Android smartphones? Psiphon is available to download on all smartphone devices supporting the Android version 4.0 and above. You may find the application on the Google Store if your country has not banned it. If it is not available, you can sideload the app for free by clicking the link we have provided. Follow these easy steps and you are good to go! Download Psiphon application using the link given. Open the file manager and find the downloaded application. Run Psiphon and surf the web without any restrictions. The codes for the software is developed by Psiphon Inc. which is based in Ontario, Canada. They have thousands of proxy servers that are distributed all around the word and use a single Hop architecture technology to grant access to its users. With Psiphon on the Android, you can easily access any website from any part of the world without any restriction. The Psiphon is easy to use and essential software that one should have in their Android device if one values the importance of privacy. The freedom allows you to visit websites and download applications that are banned in your respective country. It is a useful application as it extends the use of the internet beyond the restricted reach.